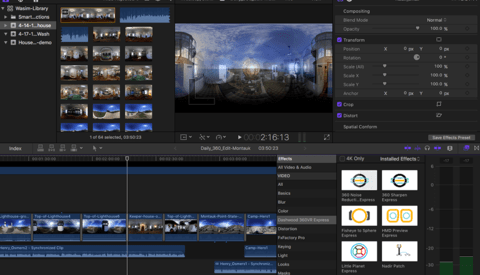 When it comes to video editing software many of us may swear by one of the two popular options available from Adobe and Apple. Although they are great, they can be quite convoluted in some sense and the learning curve is extremely steep. 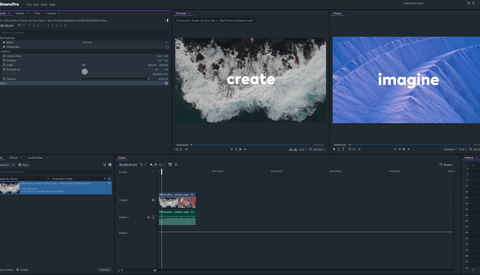 Movavi have a fantastic alternative available with their Video Editor 14 Plus software. As someone who regularly makes YouTube videos, editing software is obviously very important to me. When I first started developing my skills and learning about how to edit video, it wasn't exactly easy and the time spent on researching was very significant. 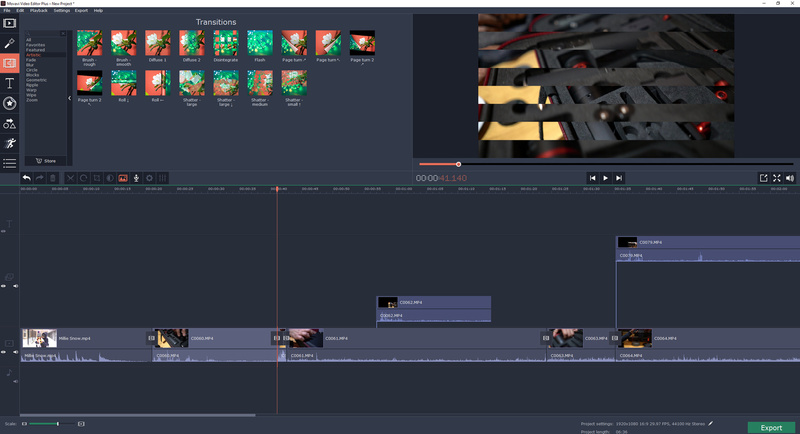 Recently I've been using Movavi Video Editor 14 Plus for some of my videos and I have to say I'm very pleased with it so far. The sheer ease of use was what got me, I really wasn't expecting it to be so incredibly intuitive. I'm all for usability and intuitive design and Movavi definitely checks those boxes. The lack of clutter is a breath of fresh air. Everything is well spaced out and in a place where you'd naturally find it. The lack of clutter is something that I definitely appreciate because with some video editors I can feel a little claustrophobic. Adding files is very straightforward, you can either use the drag and drop method or search through the "Add Media Files" option to add media to your timeline. I prefer to add a folder to the software which contains all of the files I'm planning on working on. I generally have them in order in the folder which means when I import the files, Movavi automatically lines them up on the timeline. This is a huge time saver for me and something I'm a fan of. You can, of course, line up your clips yourself without Movavi doing it for you. The timeline at the bottom is easy to manage and expanding or shrinking is very simple with one slider option. I normally prefer to work with multiple screens, therefore, I tend to have my video monitor on my second screen. This allows me to expand my timeline as much as I want and also have easy access to all the editing tools. 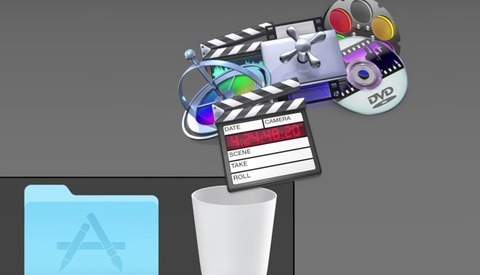 The timeline itself operates similarly to Final Cut Pro with a center column that every other clip attaches to. Clips you attach to the center column appear as smaller windows in the larger frame making it really easy to have screen in screen clips. This is very useful for those that want to create video tutorials where the audience can see you plus whatever you're demonstrating. As mentioned above, the ease of use of this software is amazing, and the tools and access to them are also very intuitive in terms of design. As you can see in the image below the main options, such as Cut, Crop, Rotate, and Adjust are very quick to access. The last two options offer more detailed access to many of the other features available. 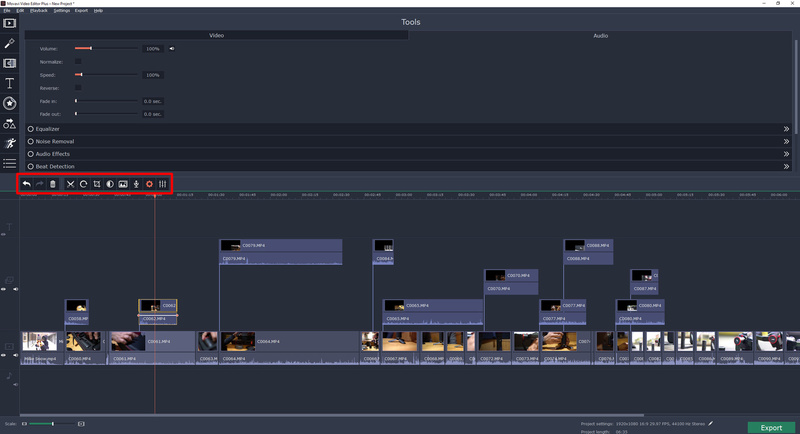 One of my favorite features in this software is the ability to record audio or voiceovers directly into the timeline which is incredibly useful, especially considering the kind of videos I make. 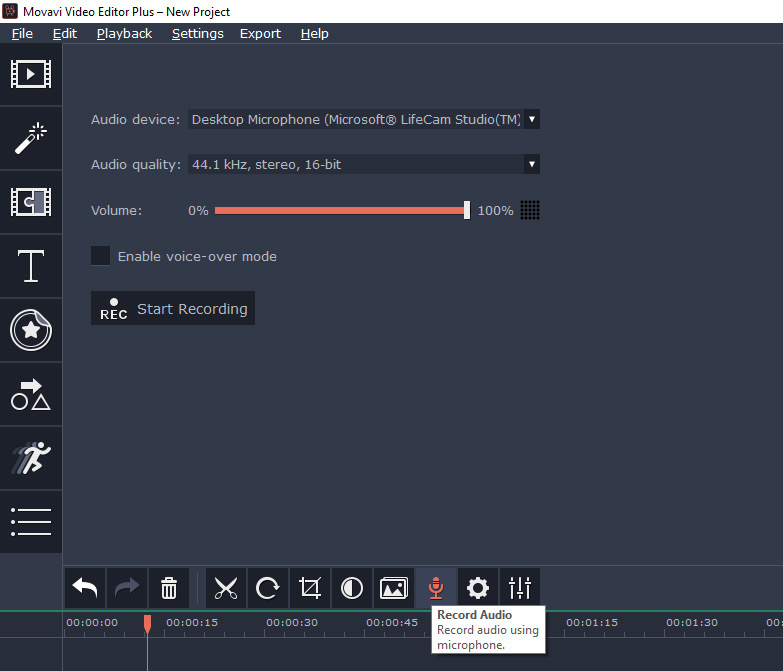 For many YouTubers, this makes things extremely easy because you're not having to hop back and forth between different software just to record some audio. This is also a great feature for those that enjoy making tutorials. 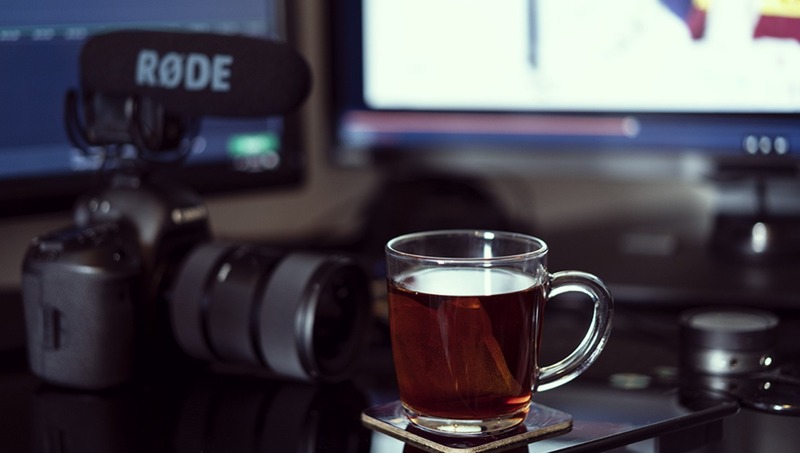 Other features that I really enjoy using in this software include things like being able to slow or speed up clips, the ability to stabilize footage, and pan and zoom. These are normally some of the more complex features in other software however with Movavi it's very simple and easy to use. All of those features are available simply by clicking on the gear icon. Another thing I absolutely love about this software is the ability to quickly change project settings like video resolution and frame rate with just a few clicks. In other software, I find I have to not only change the project settings but also adjust every clip individually as I add them to the timeline. With Movavi, however, you simply adjust the settings on the bottom right of the screen and this applies it to your whole timeline. There's no need to have to go in and individually adjust every single clip. The reason I really enjoy this feature is that I tend to shoot various kinds of video at different frame rates and resolution depending on the kind of work that I'm doing. You also have access to a huge number of transitions and text options which is great for vlogging type videos. The drag and drop mechanism is used to add different transitions and it's so refreshingly easy. 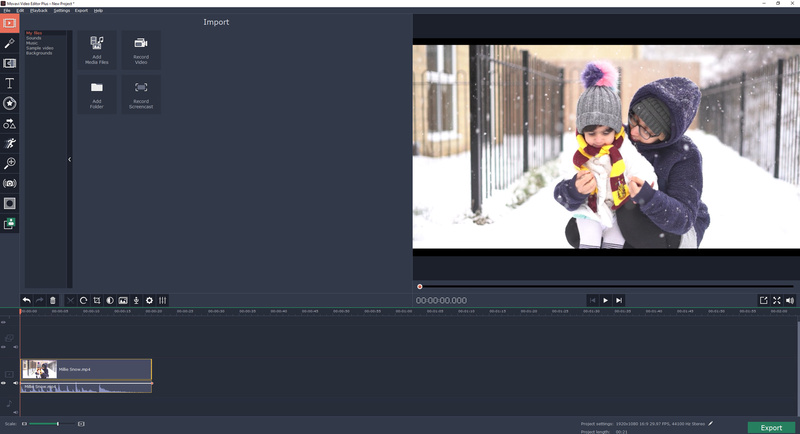 The great thing about the transitions option is that when you're hovering over your clips with a particular transition, the effect will be demonstrated in the monitor before you actually apply it. Once again this is very useful and intuitive, meaning you're not having to apply every single one before you actually pick the one you want to use, you can simply audition them. Additionally, you have the ability to add graphics and callouts to your footage in a similar manner. The software also includes royalty free music, audio clips, video clips, and even backgrounds for you to use in your videos. All of these features are complemented with a well developed Effect Store giving you access to a huge variety of additional titles, transitions, and stickers. Price of the software is very attractive. Super easy to learn and understand the software. A large number of appropriate features for the market this software is aiming for. Not as well optimized in some areas and can slow down when using some more demanding features. Initially, I was a little skeptical when it came to this software and I thought I wouldn't stray away from my current editor. I have to say I will be using Movavi for a number of projects that I'm working on and I'm very pleased with how it operates. Sure there are times when things slow down but the software more than makes up for it with ease of use and its intuitive design. As Movavi would say, "easy as making a cup of tea", and I have to say it's pretty close. 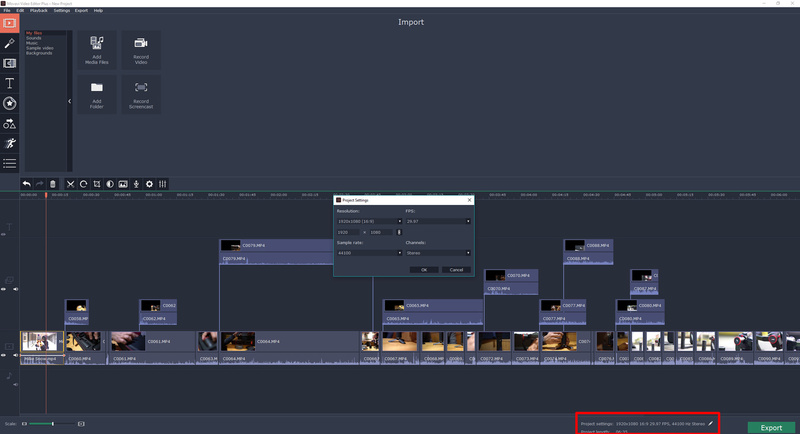 The many time-saving features like being able to affect the whole timelines resolution without needing to individually change every clip is very useful. For example, if I'm shooting with a Sony a7R III, a 5D Mark IV and also shooting time-lapses, then I have three very different kinds of video at different resolutions and frame rates. Global timeline adjustments are very useful to me. It's important to remember who this software is designed for and it's not necessarily for those that want to create high-end cinema-style movies. In my view, this is essentially aiming towards YouTubers, teachers that create video tutorials, vloggers and content creators that need something fast and effective. 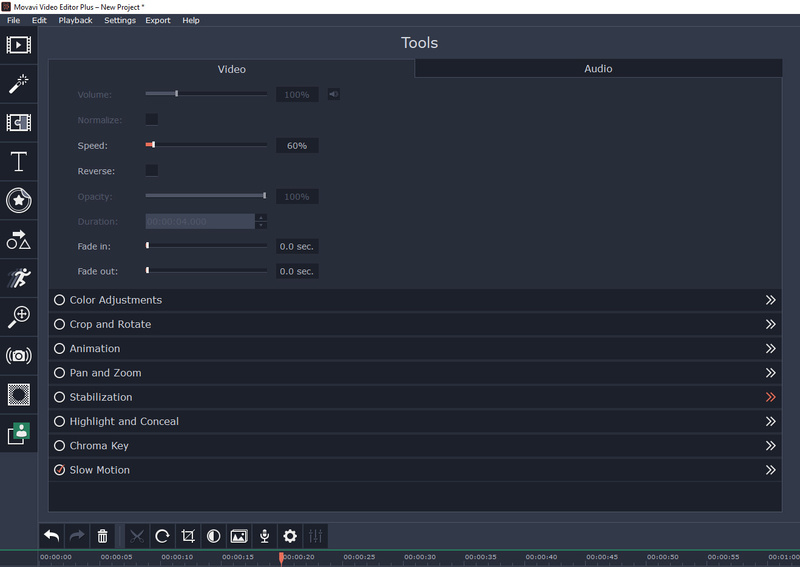 For many of those kinds of content creators, Movavi Video Editor might just be the perfect editor. You linked directly to their affiliate page. How easy is it to customize tracking and other effects? Does it have toning and other color fixes? And how easy is it to manually add subtitles? I looked at their features list, and it doesn't mention that. Without subtitles and the other features I mentioned I'm definitely not interested in subscribing. May I suggest that you hire a digital marketing guy? You should've responded to these concerns when I first brought them up, a month ago. Not yet, but we're working on it at the moment. Soon we'll be ready to answer anywhere.